Remember that text amendment the Planning & Zoning Commission passed a couple of weeks ago? You know, the one that would have permitted an electric car dealer on the site of the former Dragone Classic Motorcars — provided they remediated the soil, and fixed the rest of the property that was filled with oils and chemicals, after decades of use by old-fashioned car dealers. An Alfa Romeo, outside the former Dragone Classic Motorworks showroom in Westport. Turns out, the new tenant could be Carvana. That’s the Arizona-based, 6-year-old used car dealer that sells entirely online. Customers search for, finance and trade in their old vehicles all through the website. They can inspect any vehicle — inside and out — with 360-degree views. So it appears there won’t be an electric car dealer on Post Road West after all. Instead, there will be a used car dealer. And because a text amendment is not required for one regular automobile dealership to replace another, there’s no requirement for Carvana to clean up the site — opposite Kings Highway Elementary School — at all. 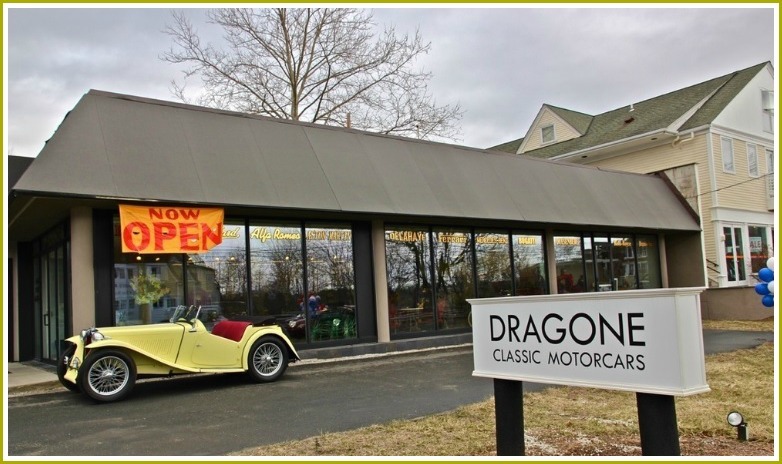 This entry was posted in Environment, Local business, Transportation and tagged Carvana, Dragone Classic Motorworks, electric car dealership. Bookmark the permalink. Does anyone know why the site isn’t required to be remediated anyway, by whomever owns it? Is the thought that it’s a waste to bother cleaning it up, if it’s going to be used for conventional car purposes, and would just get dirty again? How contaminated are we talking about, exactly? That site was a VW dealership in the seventies (Small Car Co.). Then Saab in the nineties. Dragone, a used car store. Loopholes at work…what a shame.